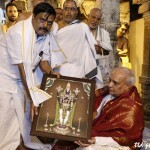 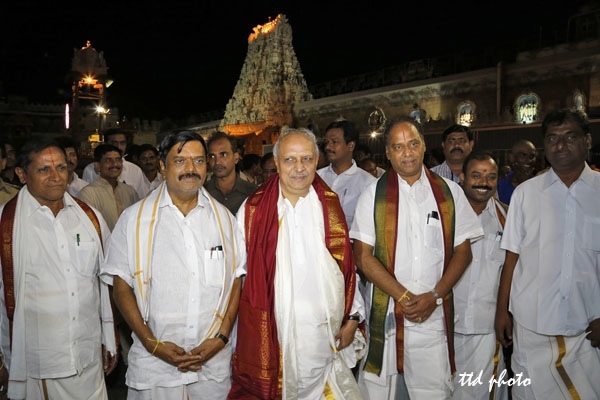 TIRUMALA, 11 September 2014: Sri IYR Krishna Rao, chief secretary of AP had Darshan Of Lord Venkateswara at Tirumala on Thursday evening during break darshan. 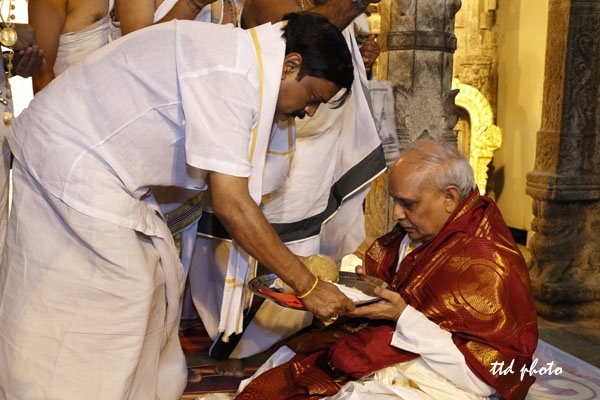 On his arrival at the entrance of temple he was given reception by JEO Sri K.S.Sreenivasa Raju & temple officials and led him to santum sanctorium. 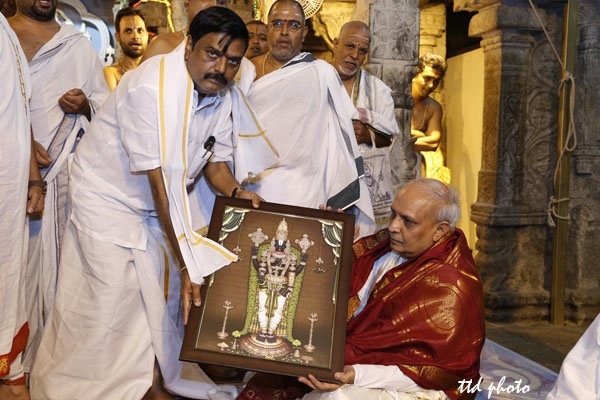 Later DyEO Sri Chinnamgari Ramana presented srivari Prasadam Lord’s Prasadams, lamination photo to Chief Secretary with Vedic hyms at Ranganayukala Mandapam inside the temple premises. 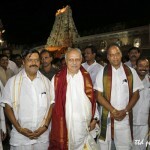 Reception Officials Sri Venkataiah, Sri Damodaram, Peishkar Sri R.Selvam and others were present.